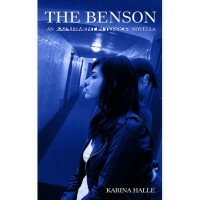 So, in this short story Perry and Dex search evidences of haunting on the Benson Hotel in Portland. Things are weird for Perry since she figured out that she is, in fact, in love with Dex, but he's with his perfect girlfriend Jen (I hate her!). This was a great story, (not exactly scary, just slightly creepy) and it was a shame it had been so short.